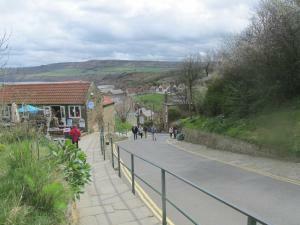 Below is a comprehensive list of hotels in Robin Hood's Bay. 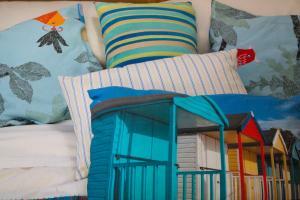 Use the sort links to refine your search or to find featured accommodation in Robin Hood's Bay. Many of our hotels in Robin Hood's Bay feature no booking fees and best price guarantee when booked through the Pictures of England website. 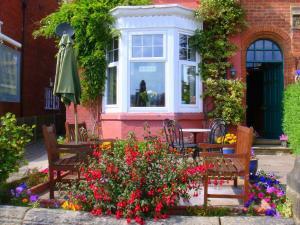 To list your hotel in Robin Hood's Bay, click here. 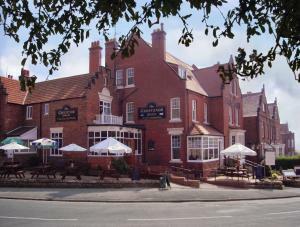 Featuring free WiFi throughout the property, Birtley House offers accommodation in Robin Hood's Bay, 8 km from Whitby. Each room is fitted with a fla..
Offering a terrace and views of the sea, Lynnfield B&B is situated in Robin Hood's Bay in the North Yorkshire Region, 8 km from Whitby. All rooms are.. Located in Robin Hood's Bay, this holiday home features a garden with a barbecue. The unit is 8 km from Whitby. Free WiFi is available throughout the ..
Boasting stunning cliff-top views over Robin Hood’s Bay, this grand, Victorian hotel is on the edge of the North York Moors. It offers homemade food.. In the fishing village of Robin Hoods Bay, a 5-minute walk from the sea, The Villa Bed and Breakfast offers wholesome breakfasts and luxury bathrooms .. Built in 1893, Streonshalh retains many Victorian features such as original fireplaces. Set at the top of the village with breath-taking sea views, it.. 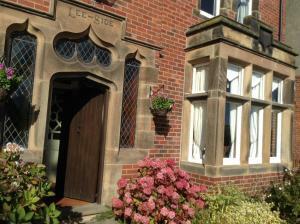 Built in 1897, Lee-Side B&B offers accommodation situated at the top of Robin Hood's Bay and is just a 4-minute walk to the sea. Featuring free WiFi, .. Situated within the North York Moors National Park, the Grosvenor Hotel boasts free Wi-Fi and a bar with an extensive food menu. 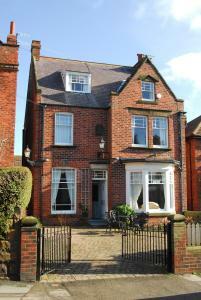 Robin Hood’s Bay Be..
Rounton House is located in Robin Hood's Bay, 8 km from Whitby. Free WiFi is provided throughout the property and free private parking is available on..
Flagstaff Cottage is a holiday home with a garden, located in Robin Hood's Bay. The property is 8 km from Whitby and free private parking is available..
Bloomswell is a holiday home located in Robin Hood's Bay in the North Yorkshire Region and is 8 km from Whitby. The unit is 19 km from Scarborough. T.. Located in the North York Moors National Park, on Robin Hood’s Bay, Northcliff Bed and Breakfast is set in a Victorian house retaining many original.. 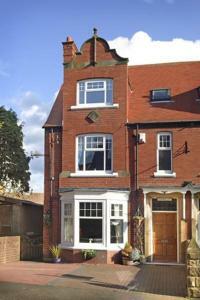 Apartment 1 offers accommodation in Robin Hood's Bay, 8 km from Whitby. The unit is 19 km from Scarborough. The kitchen is equipped with an oven, a t.. 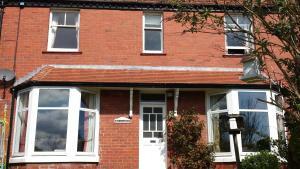 Located 8 km from Whitby and 19 km from Scarborough, Apartment 2 offers accommodation in Robin Hood's Bay. The unit is 45 km from Bridlington. An ove.. 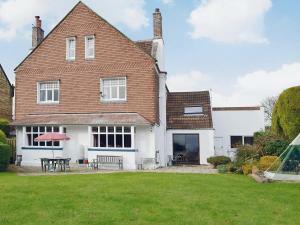 Situated in Robin Hood's Bay in the North Yorkshire Region, this holiday home is 8 km from Whitby. The unit is 19 km from Scarborough. Free WiFi is pr.. Located 8 km from Whitby, St Robert'S Chantry offers accommodation in Robin Hood's Bay. The unit is 19 km from Scarborough. The kitchen is fitted wit.. In the heart of the North York Moors National Park, the Saxon Villa Bed and Breakfast provides guests with a base for both hiking and seaside days out..
Igdrasil is a holiday home located in Robin Hood's Bay in the North Yorkshire Region and is 7 km from Whitby. 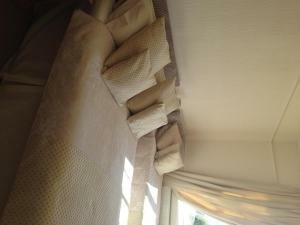 The property is 19 km from Scarborough a..